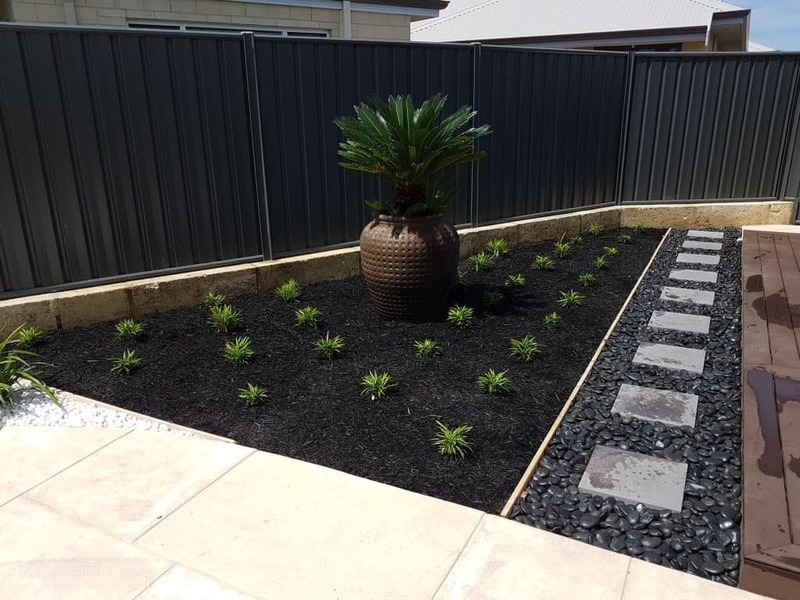 Stepper Paths | Landscape Designer | Looking Good Landscaping ""
A well enjoyed garden is one that is accessible and easily appreciated. 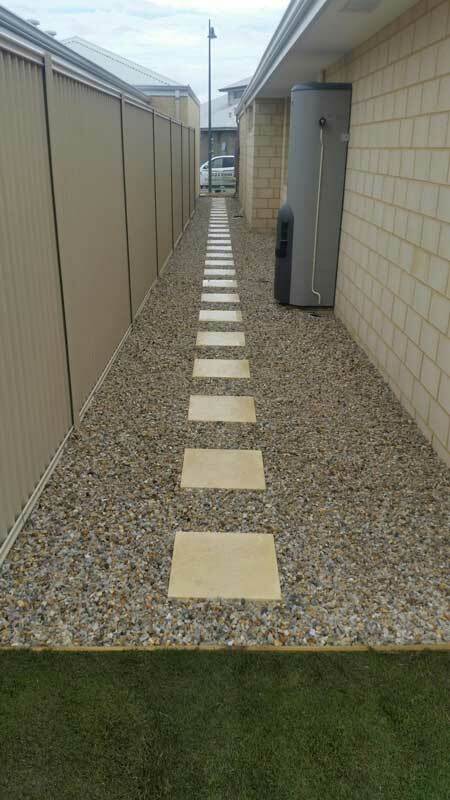 This is easily achieved with the installation of a stone & stepper path. By adding a meandering path throughout the garden, you are inviting all to observe and relish the plants in their natural glory. A path also creates easy access for the gardener, so you can weed, add mulch, or move plants easily with paths that can suit wheelbarrows. 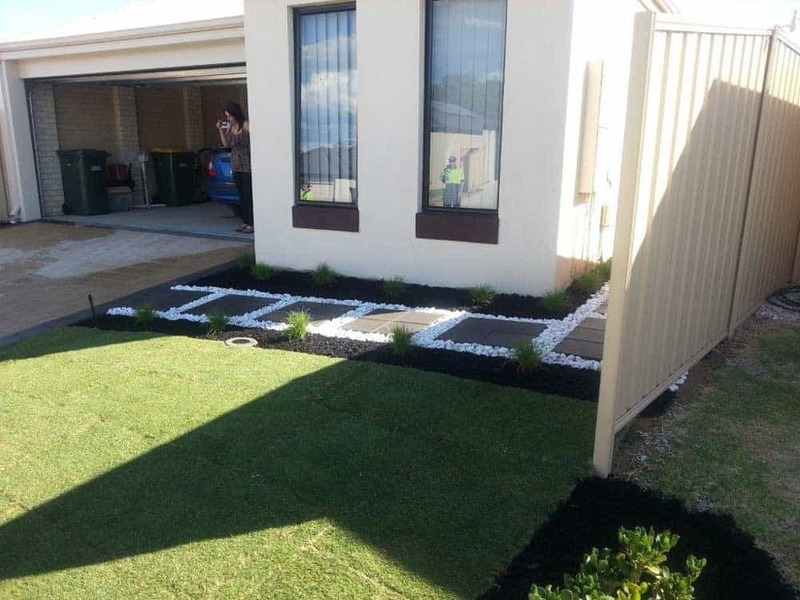 Looking Good Landscaping have been creating backyard designs for over 20 years. 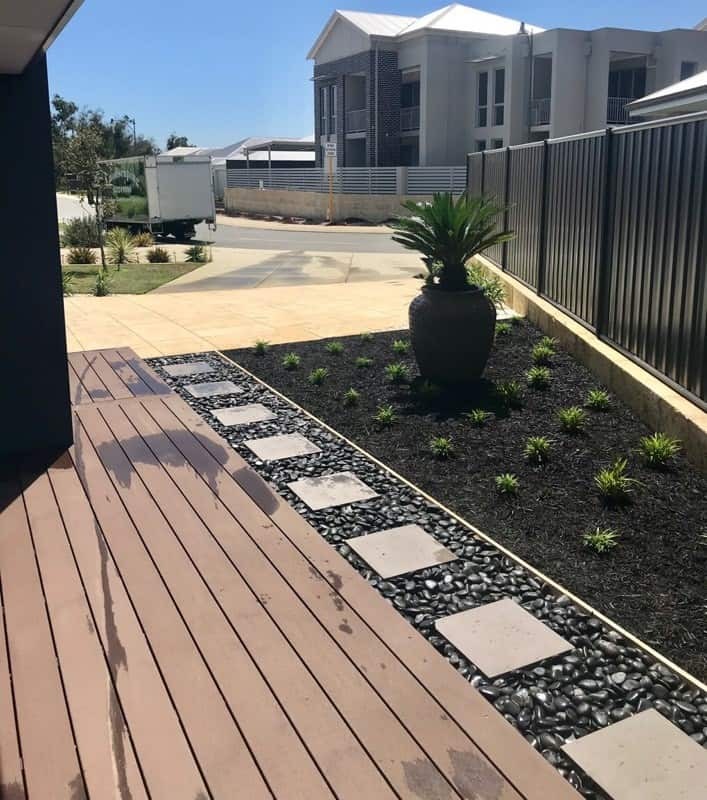 Our team of designers are familiar with the wide range of materials available for paths in a backyard landscaping, and can help you create a space that is both beautiful and functional. 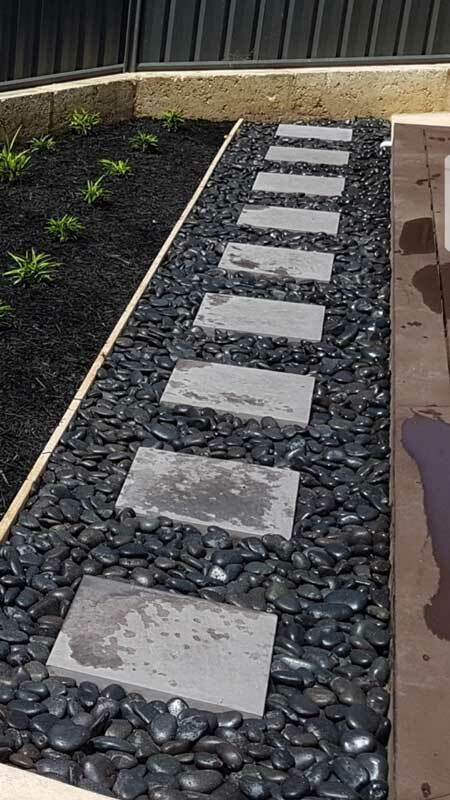 Creating a stone and stepper path involves two types of materials. The steppers are placed an easy walking distance apart to create a path that can wind and twist its way through the landscape. 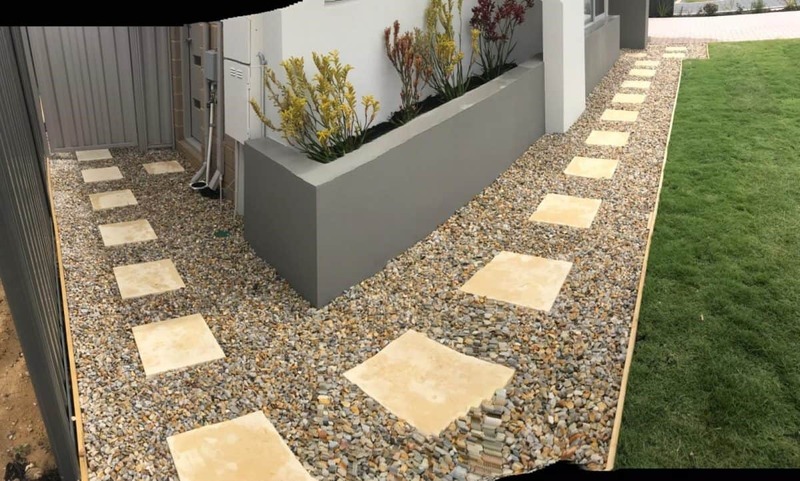 Smaller stones or gravel is laid between the steppers to complete the look. This style of path adds a timeless charming quality to any garden, as well as adding easy access for maintenance. 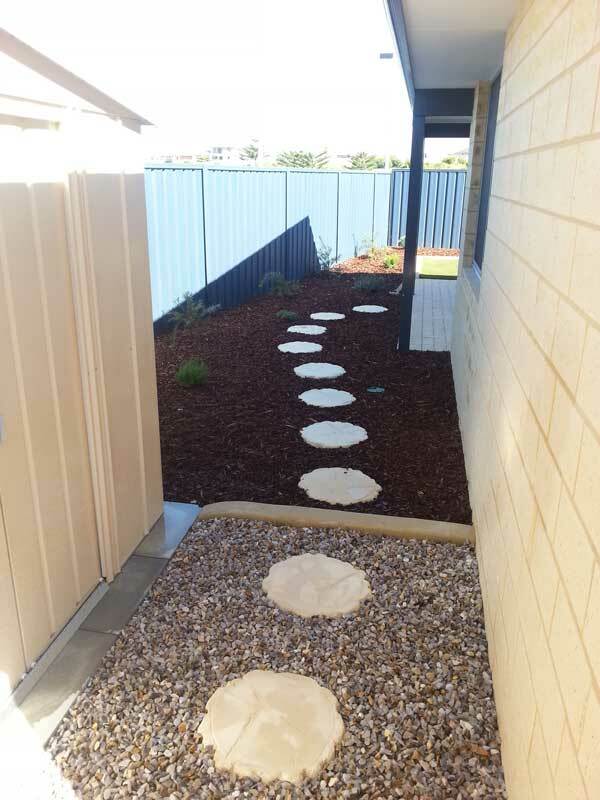 The addition of a stone & stepper path is both a functional and a beautiful investment. 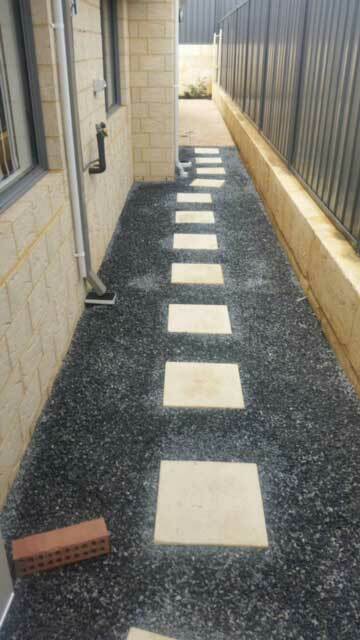 These paths are good for light to moderate traffic, depending on the material used and size of stones. They can support a wheelbarrow, giving you easy access to the garden when adding mulch or removing weeds. Each path is unique, and can be created in a variety of finishes and colours. 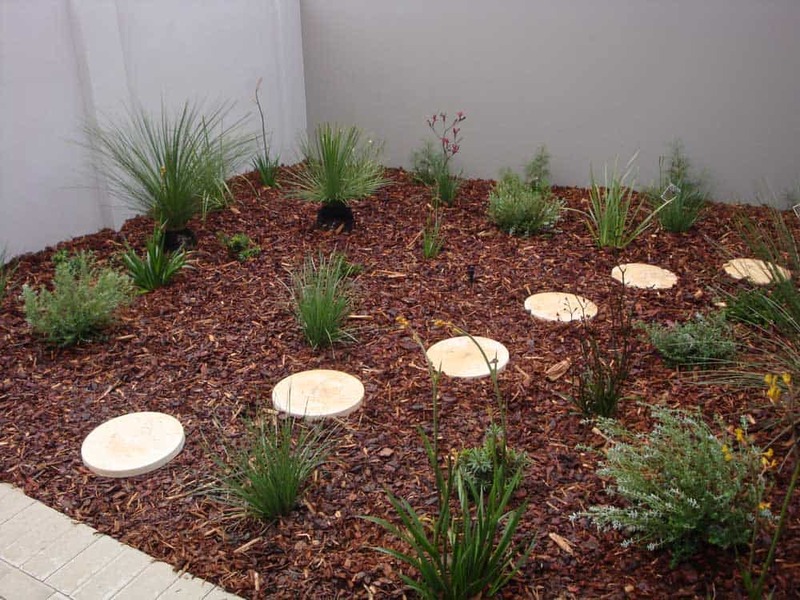 We can help you find materials that can revive a tired space, and bring a new splash of colour to your landscape. 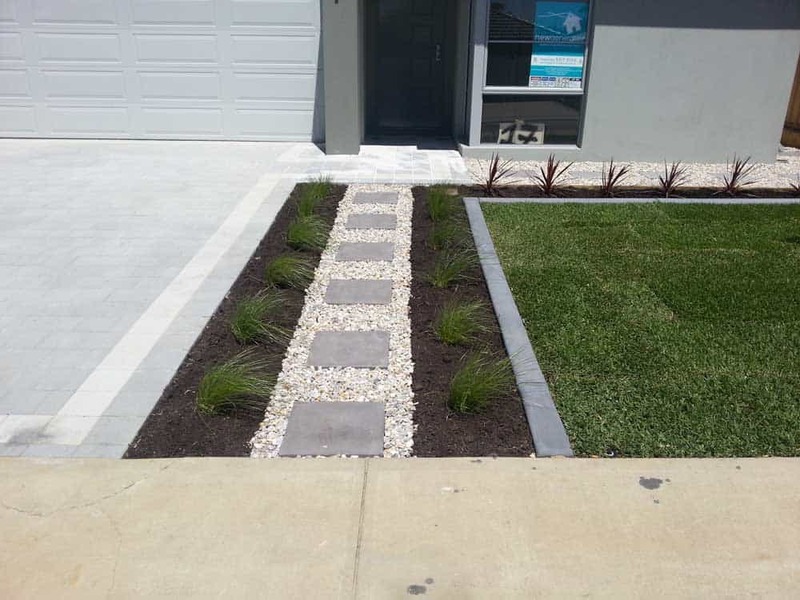 Some of the most popular materials we use are Riverstone, rainbow quartz, blue stone, and cracked pea gravel. 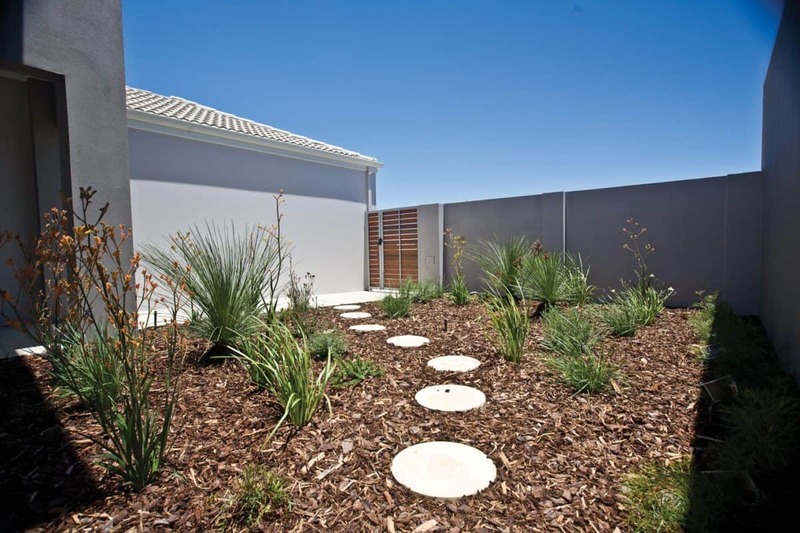 Our design experts can advise on materials that will highlight your garden and meet your needs. 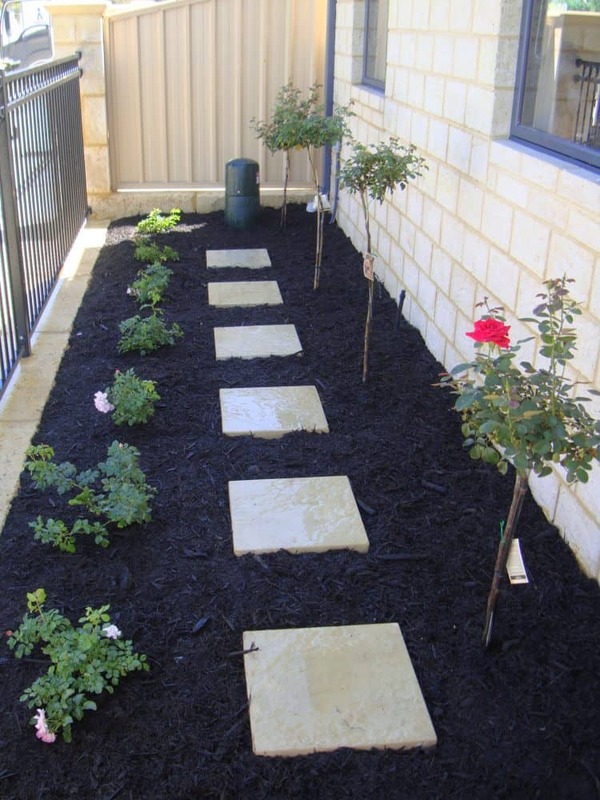 A stone and stepper path is a lovely addition to a landscape, providing a fresh look and easy access for gardening. However, there are many other designs that complement stone and stepper paths, creating a matching look for your space. Paving is a classic, durable option that sits well alongside the rustic style of stone and stepper paths. 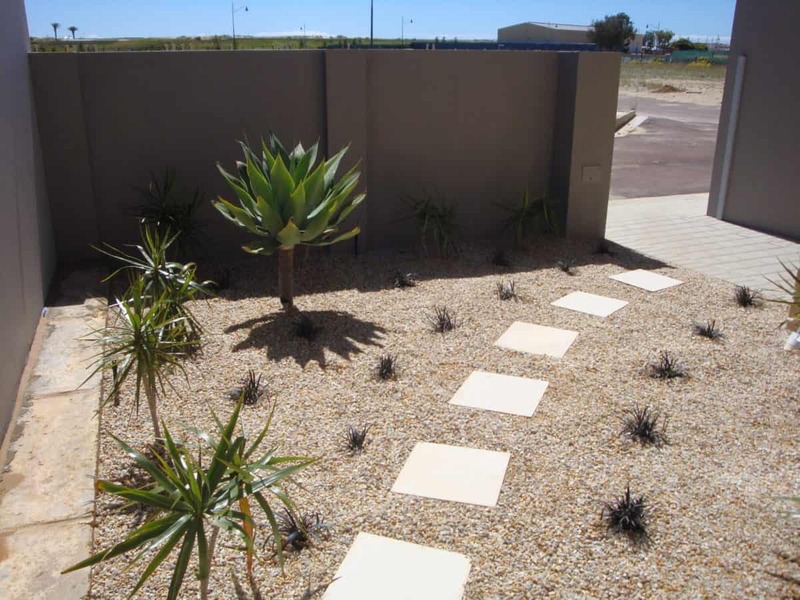 Available in a variety of materials, pavers can be found to match the path, and are suitable for high traffic spaces. 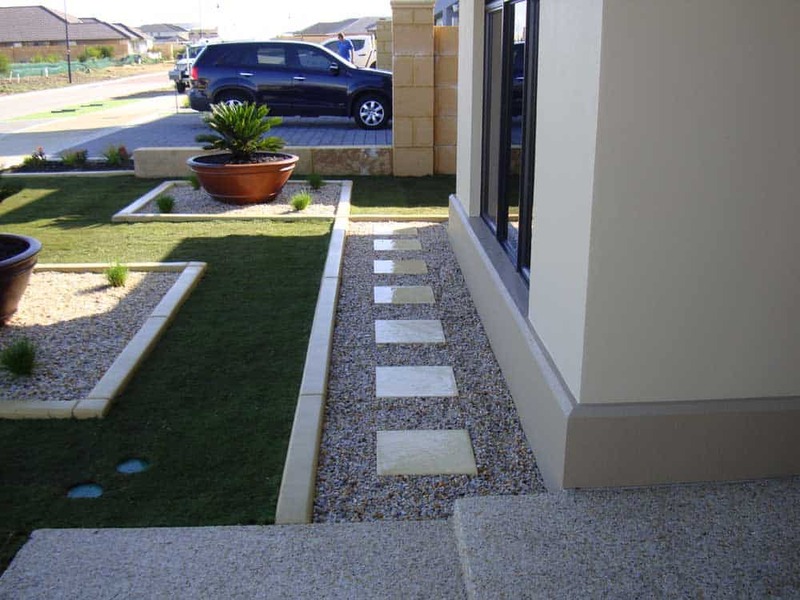 Garden edging is also a key element for paths. 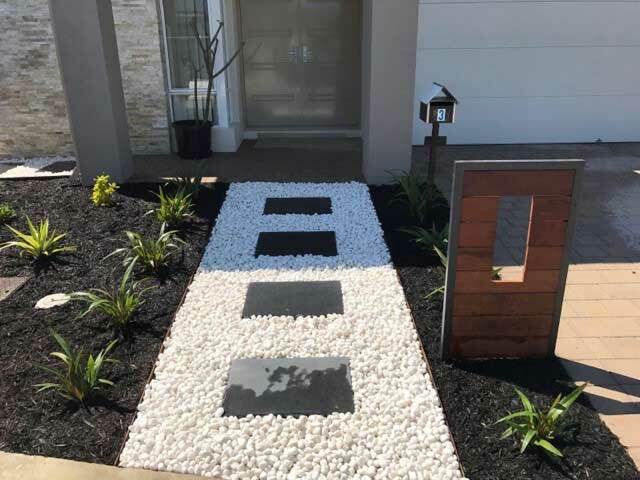 Keeping the lawn and garden separate from the path gives your landscape a tidy clean appearance, welcoming guests to enjoy the space. Stone and stepper paths add a timeless feel to the landscape. 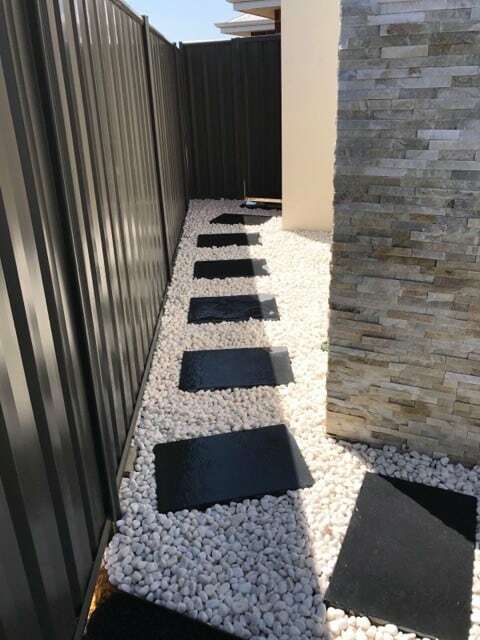 Available in a variety of colours and materials, these paths can be designed to suit any space while providing function and style. 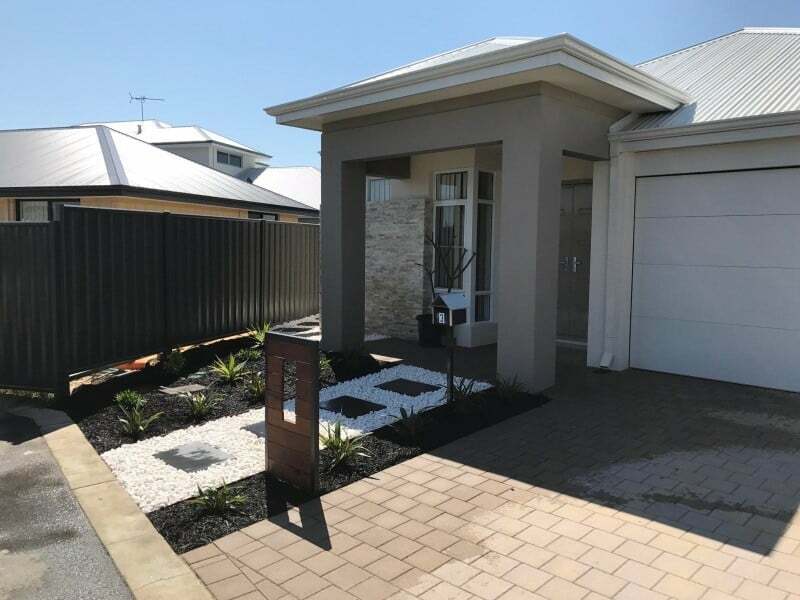 Looking Good Landscaping is an expert in backyard landscaping. With over 20 years of experience, you can trust us to provide exceptional service matched with quality design and installation. 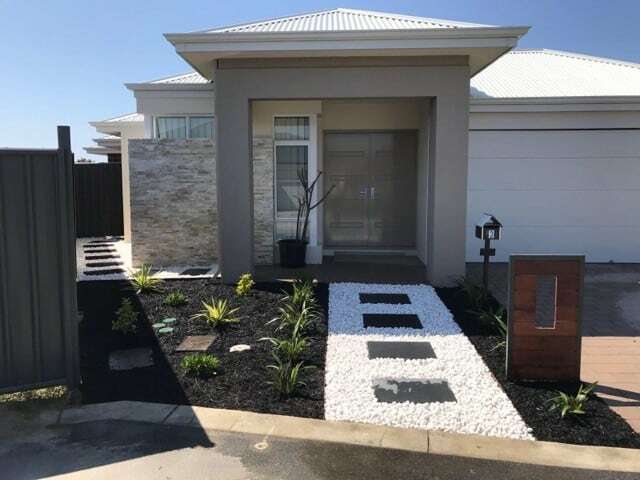 Contact us today to arrange a consultation for your landscaping needs.